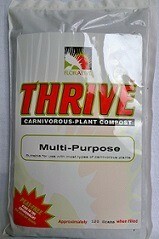 The first pre-mixed peat-free solution specifically formulated for growing carnivorous plants of multiple genera. 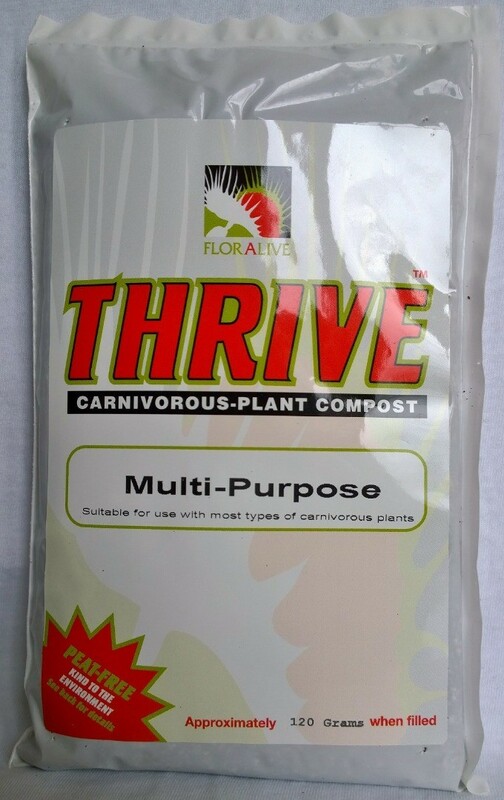 Our 'hero' product, THRIVE™ is the ecological answer to traditional peat-based mixes that carnivorous-plant growers have been hoping for. 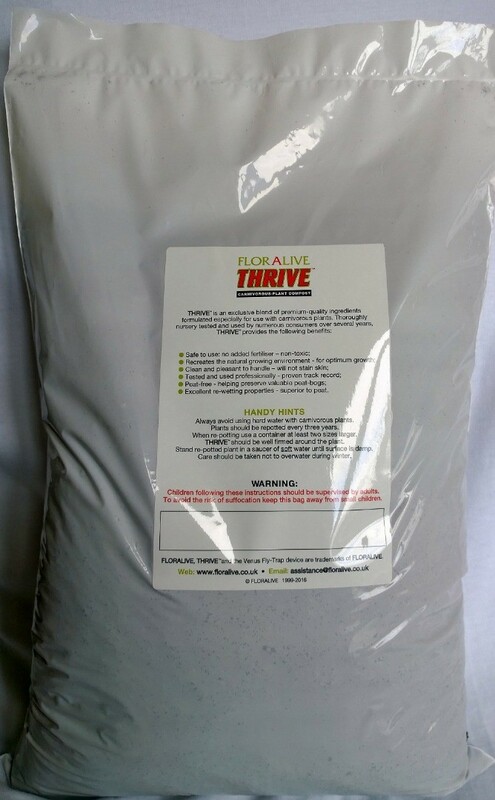 THRIVE™ has been thoroughly nursery-tested and is used to grow all our stock - every plant we sell arrives with you growing in THRIVE™. 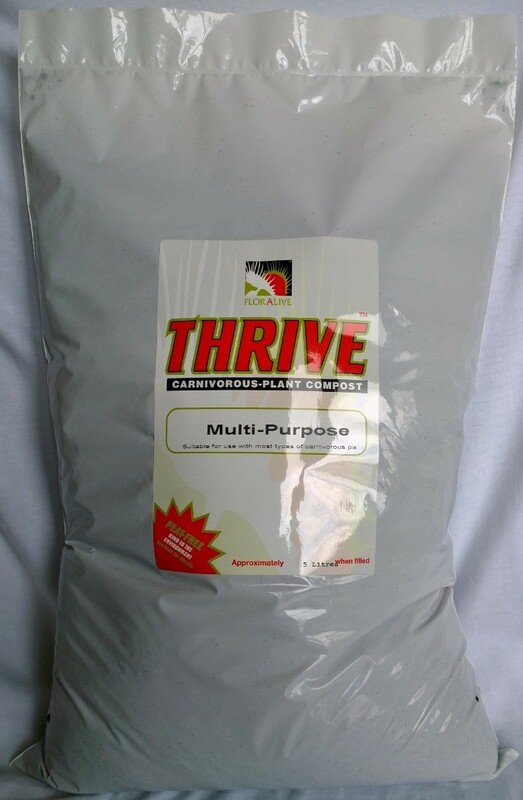 THRIVE™ is an exclusive blend of premium-quality constituents which is clean & pleasant to handle. 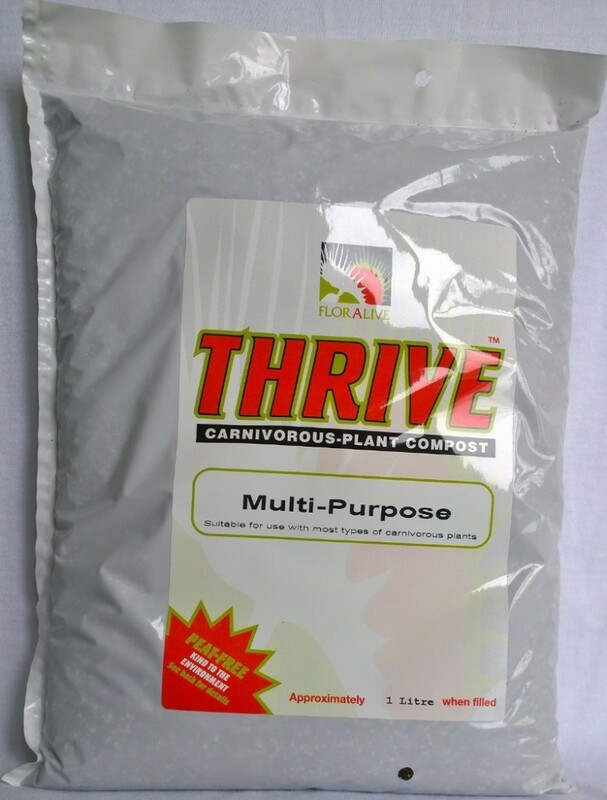 The formula helps to replicate the natural growing environment of the plant whilst not contributing to the destruction of peat-bogs, where a large proportion of the world's carnivorous plants are found naturally. Superior water distribution & availability of water to plant roots - can reduce watering frequency & lessen water-depth requirements for those subjects stood in water trays/saucers & watered from below. 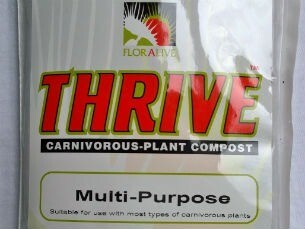 We currently supply THRIVE™ in four different pack sizes to cater for the needs of most growers. 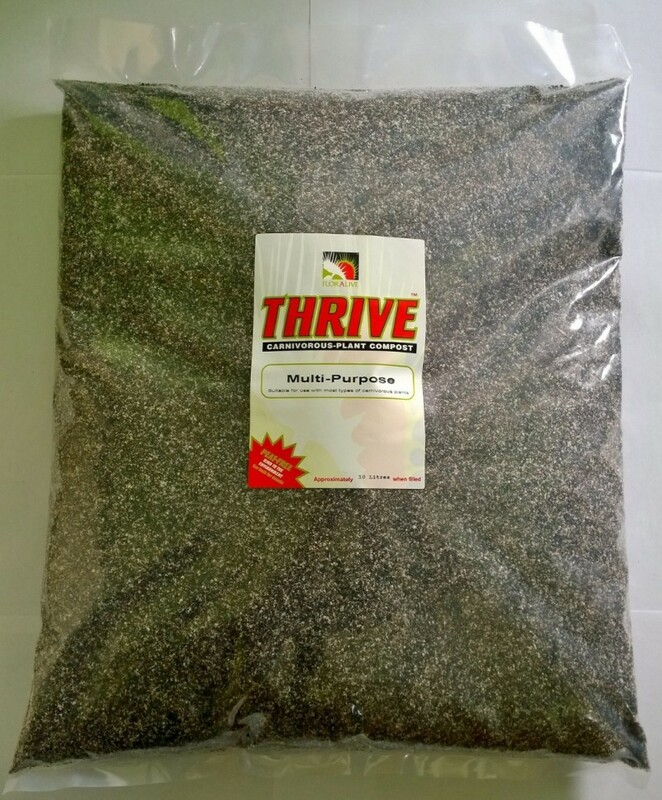 The smallest size pack (120 Grams) is ideal for seed-sowing or repotting of a single plant; the largest pack (10 Litres) will permit you to repot several - should you require further guidance, please e-mail us. Each pack has basic product information and usage guidance on the reverse.